ADHD: Is it real, over-diagnosed or completely made up? ADHD diagnoses and stimulant prescriptions are common in classrooms across the nation. One doctor, however, has taken the controversial stance that ADHD isn’t real and should never be diagnosed. Chances are you know someone — adult or child — who has been diagnosed with ADHD. Neurologist Richard Saul, however, has a new book coming out that states that there really is no ADHD. In fact, treating ADHD instead of assessing for the “real” issues is a huge problem for the children and adults who suffer from the symptoms. Do you think that ADHD is real, or is Dr. Saul on to something with this theory? Attention deficit disorder was first described in 1980 and appeared that year in the American Psychiatric Association’s Diagnostic and Statistical Manual (DSM). The term was changed to ADHD several years later and diagnostic criteria has expanded over the last few editions, which has resulted in a significant uptick in diagnoses. The number of children with an ADHD diagnosis has gone from 7.8 percent in 2003 to 11 percent in 2011, and two-thirds of those with the diagnosis are prescribed medication. 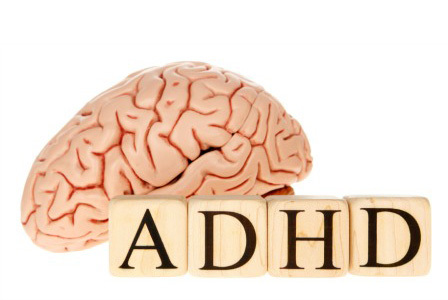 Dr. Saul, however, has evaluated many adults and children in his practice and has been able to uncover other culprits behind their poor behavior and believes ADHD should be removed from the DSM altogether. Jana, mom of one, agreed that there are true cases of ADHD, but feels that many are diagnosed incorrectly. Parents whose children really benefit from therapy and medication, of course, feel that Dr. Saul is a dangerous threat. But they agree that the over-diagnosis of the disease has done them a disservice as well as those who have other problems that are cloaked by the diagnosis itself. While Dr. Saul’s stance is controversial, maybe this is what’s needed to help medical professionals, parents and patients make better decisions in regards to potential ADHD.